Tile and grout are not easy to keep clean. Typically, these materials are in the dirtiest places in the house: the bathroom kitchen or laundry room. If you’ve chosen a light colored tile and grout, keeping it looking great is an uphill battle! Now, there’s no reason to go it alone. Corpus Christi Carpet Cleaning Pros in Corpus Christi, TX can help you keep that tile and grout looking shiny, bright and spotless! We are privately owned and operated, so you’ll get personal attention with every interaction. When we start a job, we finish it with 100% customer satisfaction! That’s why we have such high ratings with the Better Business Bureau and all the most popular review websites. Check us out online, or ask your friends and neighbors about the best tile and grout cleaning company for Odem, TX. They’ll tell you it’s Corpus Christi Carpet Cleaning Pros! 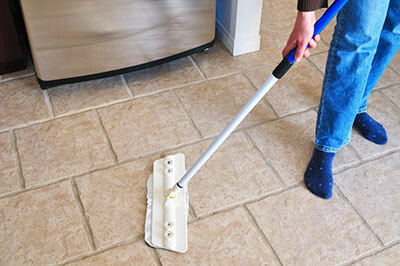 There’s so much more you can do for your tile floors than just mopping them! You can get the surface dirt and germs with a regular mop, cleaner, and water, but you’ll never get the stuff that’s deep down in the pores of grout and even tile. That’s where an expert can help! When you think your tile and grout could use some professional cleaning, call Corpus Christi Carpet Cleaning Pros, and we’ll get your floors clean on the surface and deep down in the pores as well! So many myths circulate about caring for your home. 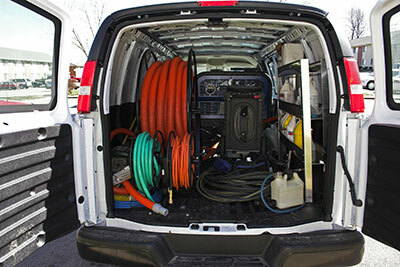 There are all sorts of home remedies and shortcuts for getting rid of mold, dirt, mildew and toxins. Some of them work, but some can cause more harm than good. And what’s more, you may not realize which ones are causing damage until it’s far too late to do anything about it. Cleaning with bleach is considered to be one of the best ways to eliminate germs and to sterilize even the dirtiest surfaces. It’s true that bleach has powerful antiseptic qualities. However, it is very harsh and should be used with extreme caution and moderation. Bleach should only be used on non-porous surfaces because it can deteriorate porous surfaces from the inside out. Bleach eats away at grout and even tile, and it’s impossible to get it all out with commercial equipment. Therefore, once you have put bleach on tile and grout, there’s no way to get it out. Also, bleach can take away the shiny, glossy coating on tiles, which can make them look dull, plus it will allow more particles – dirt and cleaning products – to get deep down into the deepest pores of the tile and grout. Tile and grout, like other surfaces in your home, need special care. Don’t trust just anyone to take care of your tile and grout surfaces, or you could end up with floors and other surfaces that look old and worn out long before their time.